The Royal Drawing School Dimplex Artist Studios. 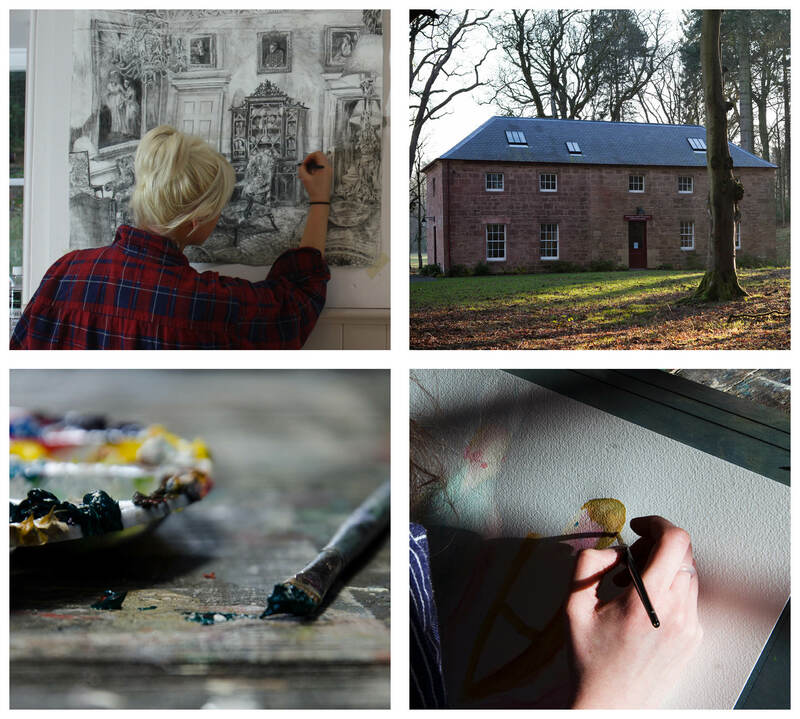 Offering four high quality studios as a base for exploring the peace and tranquillity of Dumfries House and Estate the RDS Artist in Residency programme offers unparalleled opportunity to up-coming and established Artists locally, nationally and Internationally. Situated in a converted Georgian laundry of handsome pink stone, they are as comfortable and well-appointed as studios could be. They have ground-source heating, state-of-the-art lighting, Farrow & Ball-painted tongue-and-groove panelling, generous windows and individual kitchenettes. Then there are the views: on one side an open meadow, on the other a splendid grove of trees.